Two physicists, one Italian, one Hungarian, shared the US patent for the first manmade nuclear reactor. Enrico Fermi’s and Leo Szilard’s skills were complementary, but their personalities clashed. They collaborated on their last joint experiment in May 1939, only five months after the discovery of nuclear fission and more than three years before the start-up of Chicago Pile-1 on December 2, 1942. Fortunately for the world, the two men respected each other’s judgment, or that millennial outcome might have been dangerously delayed. Fermi and Szilard came together in the spring of 1939 to explore the unique properties of uranium. Two German radiochemists, Otto Hahn and Fritz Strassmann, working at an institute in Berlin, had discovered nuclear fission just at Christmastime 1938. When they published a scientific report of their discovery, early in the new year, physicists everywhere spread the word of the energetic new reaction. Nuclear fission embodied a long-sought dream of releasing the energy locked into the atomic nucleus, energy several million times as intense, gram for gram, as the energy of merely chemical reactions. That release, however, depended on initiating a self-sustaining cascade of fissions, one causing two, two causing four, four causing eight, and so on, each releasing energy, an exponential process the physicists called a chain reaction. Should a uranium chain reaction be possible, then energy for power would be possible as well—and so also might energy for bombs, each capable of destroying an entire city. In spring 1939 Nazi Germany, where fission was discovered, was preparing for war. A Third Reich made invulnerable with atomic weapons was a nightmare that had to be forestalled. The last experiment Fermi and Szilard conducted together involved measuring the production of “secondary” neutrons. Fission was produced in the first place by bombarding uranium atoms with neutrons, one of the three basic nuclear particles (along with electrons and protons) discovered in the previous 40 years of intense and exciting worldwide research. Neutrons induced fission in the uranium nucleus; the fissioning nucleus then ejected neutrons as well. The question Fermi and Szilard needed to answer was how many such secondary neutrons, on average, were released per fission, because it would be such neutrons, cascading from nucleus to nucleus, that would induce a chain reaction and multiply a microscopic energy release to one capable of lighting cities or burning them down. The experiment the two physicists designed involved packing 500 pounds of greasy black uranium oxide powder into 52 pipe-like metal cans each two inches in diameter and two feet long, then submerging the sealed cans in a large tank containing a 10 percent mixture of manganese dissolved in water. A neutron source set in the center of this lattice of cans would release a shower of neutrons; the water would slow them down; they would encounter the uranium oxide and cause fissions; and any secondary neutrons the fissions produced would induce a characteristic three-hour radioactivity in the manganese. How much the manganese was activated would give Fermi and Szilard a measure of secondary-neutron production. Packing cans of greasy black uranium oxide and mixing manganese solutions was hard work. So was staying up half the night taking readings of manganese radioactivity as the experiment progressed. Fermi, the son of a railroad inspector, was a short man but sturdy and indefatigable. He enjoyed the physical work of experiment. Not so Szilard. The son of a prosperous civil engineer, he grew up with servants and governesses and considered physical work a waste of time. “Szilard made a mortal sin,” the two physicists’ mutual friend Emilio Segrè told me. “He said, ‘Oh, I don’t want to work and dirty my hands like a painter’s assistant.’” A more charitable colleague, Herbert Anderson, said Szilard “thought he ought to spend his time thinking.” The Hungarian physicist hired an assistant to do the dirty work for him. The man was “very competent,” Anderson remembered. But Fermi was offended. He and Szilard never again worked together staging an experiment. How then did they win a joint patent? Fermi consulted with Szilard. Together they designed a reactor to be assembled of uranium metal slugs dropped into blind holes drilled into heavy graphite blocks the size of planter boxes. 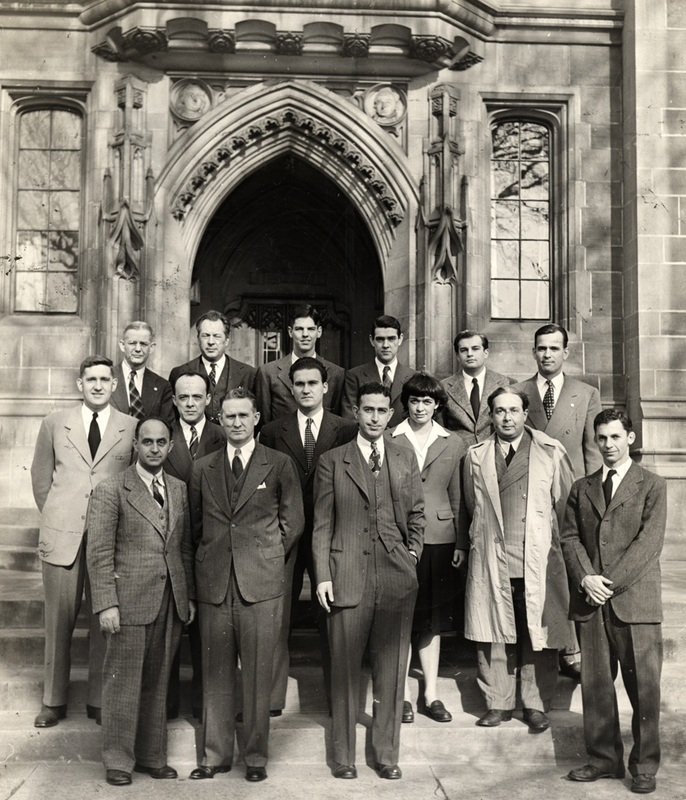 As they moved into what would become the Manhattan Project, Fermi worked at Columbia with burly members of the university football team to assemble a series of partial “piles,” as he called them, each a little larger than the last as the materials came available, each giving better measurements of the large volume of materials they would need to create a critical mass and a chain reaction using natural uranium. Fermi thought Szilard arrogant. Szilard thought Fermi cynical. They managed nevertheless to work together to create the first successful man-made nuclear chain reaction, in a machine that in the course of years would come to produce 14 percent of the world’s electricity, with no release of carbon and with a record of safety unsurpassed by any other form of primary energy. Richard Rhodes is the author of 25 books, including The Making of the Atomic Bomb (Simon & Schuster, 1986), which won the Pulitzer Prize for nonfiction, a National Book Award, and a National Book Critics Circle Award. On December 1 he will speak on campus about the 75th anniversary of CP-1.